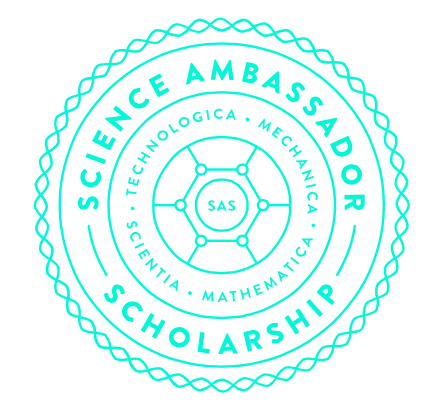 September 17, 2015 – Cards Against Humanity is currently accepting applications for their Science Ambassador Scholarship, a full-ride scholarship for a woman seeking an undergraduate degree in science, technology, engineering, or mathematics. The recipient of the award will receive full tuition coverage for up to four years, starting with the 2016 academic year. The growing $500,000 scholarship trust is funded by sales of Cards Against Humanity’s “Science Pack,” co-authored with Saturday Morning Breakfast Cereal’s Zach Weinersmith and Bad Astronomy’s Phil Plait. The pack is available for $10 at CardsAgainstHumanity.com. To apply, candidates should submit a three minute video to ScienceAmbassadorScholarship.org explaining a scientific topic they are passionate about. Applicants must be U.S. residents in high school or college and must identify as a woman in a way that’s significant to them. Applications are due by December 1st, 2015. Scholarship applications will be reviewed by a board of fifty women who hold higher degrees and work professionally in science, including representatives from NASA’s Jet Propulsion Laboratory, Harvard Medical School, the Smithsonian Institution, the Adler Planetarium, and the U.S. Army Corps of Engineers, as well as TED, NSF, Huxley, and Hubble fellows. The winner will be announced in the spring of 2016. Similar charitable packs released by Cards Against Humanity have raised nearly $3 million for nonprofits like the Wikimedia Foundation, the Sunlight Foundation, and DonorsChoose.org, where Cards Against Humanity has funded over 13,000 teacher projects in high-poverty classrooms across the United States.